Gian Carlo Menotti was born on 7 July 1911, in Cadegliano, Italy. At the age of 7, under the guidance of his mother, he began to compose songs, and four years later he wrote the words and music of his first opera, The Death of Pierrot. In 1923 he began his formal musical training at the Verdi Conservatory in Milan. Following the death of his father, his mother took him to the United States, where he was enrolled at Philadelphia's Curtis Institute of Music. There he completed his musical studies, working in composition under Rosario Scalero. The Consul, Menotti's first full-length work, won the Pulitzer Prize and the New York Drama Critics Circle award as the best musical play of the year in 1954. By far Menotti's best-known work is the Christmas classic Amahl and the Night Visitors, composed for NBC-TV in 1951. This beloved opera celebrated the 50th anniversary of its premiere in 2001, and continues to receive hundreds of performances annually. Menotti writes the text to all his operas, the original language being English in every case, with the exception of Amelia Goes to the Ball, The Island God, and The Last Savage, which were first set to Italian words. Recent operas include The Singing Child (1993) and Goya (1986), written for Plácido Domingo and given its premiere by The Washington Opera. In the summer of 2004 Domingo reprised the role at Vienna's Theater an der Wien. Menotti's most recent vocal works are Jacob's Prayer (1997), a commission from the American Choral Directors Association, Gloria, written as part of a composite Mass celebrating the 1995 Nobel Peace Prize, For the Death of Orpheus, with a premiere by the Atlanta Symphony Orchestra led by Robert Shaw in November 1990, and Llama de Amor Viva, premiered in April 1991. A trio for the Verdehr Trio received its world premiere at the Spoleto Festival on Menotti's 85th birthday in July 1996. 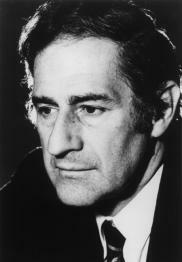 In addition to the numerous operatic works, Menotti has enriched the artistic world with ballets, including Errand into the Maze (in the 2005 repertory of the Martha Graham Dance Company), and The Unicorn, the Gorgon, and the Manticore; Pastorale for Piano and Strings (1934); Poemetti, a suite of piano pieces for children (1937); The Hero (1952), a song on a text by Robert Horan; and Canti della Lontananza, a cycle of seven songs (1967). He also wrote the libretti to Samuel Barber's operas Vanessa and A Hand of Bridge. 1958 saw the opening of Menotti's own festival, the Festival of Two Worlds, in Spoleto, Italy. Devoted to the cultural collaboration of Europe and America in a program embracing all the arts, the Spoleto Festival has gone on to be one of the most popular festivals in Europe. The festival literally became "of two worlds" in 1977 with the founding of Spoleto USA in Charleston, South Carolina, which he led until 1993 when he became Director of the Rome Opera. Well into his 90s he continued to direct opera at Spoleto and elsewhere. His 1996 Spoleto production of Amahl was filmed for commercial release. During the 2005-06 season The Consul will be produced at Teatro Regio in Italy; performances in the 2004-05 season included productions at the Arizona Opera and in Zurich, Switzerland. In 1984 Menotti was awarded the Kennedy Center Honor for lifetime achievement in the arts. He was chosen the 1991 "Musician of the Year" by Musical America, inaugurating worldwide tributes to the composer in honor of his 80th birthday. His music has been published by G. Schirmer since 1946. If one has had the privilege of knowing Gian Carlo Menotti, it becomes increasingly clear that one is not only dealing with a man who is an emblem of his many talents — as musician, writer, director, and impresario — but that his creative output and the man are indissoluble. It is also apparent that beneath his easy accessibility and exasperating vitality he is a very private person. Menotti is action in repose, and vice versa. His mercurial mind, his humor that is always tinged with a pinch of world weariness, his ribaldry and unfailing friendliness cannot obliterate an underlying melancholy and a deep reservoir of raw sensibility. He frankly discusses the heights and depths of his problems and prejudices, loves and hates. He does not pose as a saint (which he certainly is not) or a dispenser of great wisdom (of which he has more than an adequate share). His response to the world is more subtle and intense than that of most of us, but so is his complexity. He appears torn between two worlds, his febrile fancy and the unpoetical world around him. In this respect, Menotti, the realistic idealist in his work and life, is an exemplar of the problems we all face day after day. This is not to deify Menotti. He is as fallible as we, but he is also endowed with the mysterious gift of creative sensibility that enables us to see ourselves more clearly. Fortunately or unfortunately, only a few are burdened with this task to bring to the surface what lies deep within us. It is no accident that Orpheus, the god of music, who "with his lute made trees/And the mountain-tops that freeze/Bow themselves when he did sing," was decapitated by the Bacchantes for his gifts; even headless he continued to sing his song. Interestingly, Menotti's most recent orchestral work is called The Death of Orpheus. The meaning of the Orpheus myth is surely the dominating force behind Gian Carlo Menotti. Does this appear hyperbolic and overwrought? Is Menotti a larger-than-life figure out of his own operas, remote from our common pleasures and displeasures? Not at all. Gian Carlo is ardent and fun-loving, generous to a fault, and often conned into giving hand-outs to those who know how to manipulate him (which is not too difficult). He is no snob, but he certainly enjoys his fame and popularity and lives the good life to the hilt, whether presiding with his adopted son Chip at his palazzo in Scotland, Yester House, or revelling in his fiefdom at either of his Spoleto festivals, in Italy or Charleston, South Carolina. Menotti's success is no rags-to-riches story, but it is in some ways an American success story. Although he has spent most of his life here, he has not lost his Italian accent or cast of mind, nor does he give the appearance or have the manner of any of the inhabitants of our fifty states. He is a bona fide internationalist, a true sophisticated man of two (or more) worlds. Menotti is still a European, a cosmopolite in the best sense of the word. This is not surprising, for he was born on 7 July 1911 into an affluent Italian family at Cadegliano, near Lake Lugano. His relatives were a mixture of social gentility and the usual assortment of eccentrics, some, he says, "touched with madness." He was cradled in music from an early age and heard a great deal of it at the musical soirees given at the villa. A large rambunctious family of siblings, uncles, and aunts and their progeny were always involved in theatrical activities. His older brother Pier Antonio initiated him into the world of books — Menotti is still a voracious reader in at least five languages — and gave elaborate and fantastic puppet and marionette shows that stirred the boy's imagination. Menotti's mother, Ines, the potent force behind his musical education, fostered his obvious talent from the beginning. The 11-year-old Menotti wrote and composed two operas: The Death of Pierrot and The Little Mermaid, adapted from the Hans Christian Andersen story. These precocious efforts already contain the seeds of his later works. Pierrot, a character from the French pantomime that in turn stemmed from the commedia dell'arte, is a harbinger of much of Menotti's later style, particularly in The Unicorn, the Gorgon, and the Manticore. The poor little mermaid who could never express or experience her love for the prince is a theme greatly expanded and transmogrified throughout Menotti's works. Certainly The Little Mermaid is a Danish version of the maimed Orpheus. Menotti studied for three years at the Milan Conservatory, then in 1928 he and his mother came to America so that he could attend the newly opened Curtis Institute of Music in Philadelphia. A letter from Arturo Toscanini, a family friend, to the composition teacher, Rosario Scalero, made it possible for him to enroll as a student there. Thanks to the discipline of that tyrannical taskmaster, Menotti was thoroughly and rigorously trained in all the techniques of composition, particularly counterpoint. The same onerous discipline and training were experienced by another young composer, Samuel Barber, who became his close companion and lifelong friend. The friendship of Barber and Menotti is legendary. They were the exact opposite — in temperament, background, personality, aesthetics, attitudes, and musical style. Barber, an affluent, small-town American, aristocratic, disciplined Anglo-Saxon to the core, acerbically witty, solitary, reserved, balanced, stable; Menotti, the volatile European, amusing, dramatic, fascinated by the fantastic and marvelous, outlandish, bizarre, delightfully eccentric. Yet the uncontrolled Latin and the controlled Anglo-Saxon were a necessary catalyst for each other. Their symbiotic relationship greatly influenced the course of American music. The Barber family welcomed Menotti as a son and had an enormous calming effect on this tempestuous young man. The Menotti we know today — his somewhat corporate image and his mastery of the English language — is greatly a product of his living with this cultivated Pennsylvania family during his maturing years. Menotti in turn introduced Barber to the manners and milieu of Europe, and Barber became in many respects a Europeanized American. Menotti's fabulous career began in 1937 with the launching of his first opera, Amelia Goes to the Ball, at Curtis (and performed at the Metropolitan Opera a year later). His recent full-length opera, Goya, was commissioned and performed by Plácido Domingo and the Washington Opera at the Kennedy Center for the Performing Arts in 1986. In between, he has written 22 other operas, and innumerable non-theatrical works. The Old Maid and the Thief (1939) was the first opera written for radio; The Medium (1946), The Telephone (1947), The Consul (1950), The Saint of Bleecker Street (1954), and Maria Golovin (1958) were the first operas (besides Gershwin's Porgy and Bess) to run on Broadway; Amahl and the Night Visitors (1951) was the first opera specially written for television. Amahl is the most frequently performed opera in the United States and a Christmas classic the world over. Menotti also wrote The Labyrinth (1963), the first opera that can only be performed on television; it employs all the technical devices of that medium and cannot be transplanted to the stage. In 1963, he also wrote Le dernier sauvage (The Last Savage), the first opera by a non-Frenchman to be commissioned by the Paris Opera since Verdi's Don Carlo (1867). (Its premiere, however, was given at the Opéra Comique.) Menotti was given the New York Drama Critics Award and the Pulitzer Prize for both The Consul and The Saint of Bleecker Street. The Broadway production of The Medium and The Telephone made Menotti a household name. Once again, Toscanini played a vital role in his career. The maestro twice attended a performance of this double bill, causing a sensation that brought the composer to the attention of the theater-going public, as well as the fickle musical cognoscenti. Menotti wears the themes of his operatic world on his sleeve, plain for all to see. His desire to reach unattainable beauty in art, his need to reconcile simple faith with the ambiguities of religion, and his explorations of the complexities and complicities of love give us avenues to comprehend his turbulent personality. All of his operas are variations on these subjects. And he has given us symbolic signposts by which to read them. The operas are often deceptively simple. His facile ability to touch on a raw nerve of an audience leads some to suspect his sincerity and seriousness. His craft and craftiness often disguise and underplay their thoughtfulness. This is certainly true of the comedies, which no matter how entertaining, have a meaningful idea imbedded in them. This was apparent even in his first opera — obviously, Amelia is about much more than a young woman determined to go to a ball. None of his operas are about just one subject; Menotti is too good a dramatist to bore us with a static situation obvious from the rise of the curtain. Menotti is fundamentally a story teller and any subtext is buried in the physical actions of his protagonists. In his narratives, there are many detours on the way to the final solution. Some may be overtly dramatic, such as the smashing of the window with a brick in The Consul, the shooting of Maria Golovin by Donato, the terrible moment of silence when Goya loses his hearing, the whipping of Toby by the Medium, the appearance of the foreign soldiers in Tamu-Tamu. By such strategies Menotti manipulates our emotions. Surprisingly, there is not too much violence in his operas — only five murders and seven deaths (The Consul, The Saint, Martin’s Lie, The Unicorn, La Loca, and Goya). But a lot of men are maimed: a mute in The Medium, a blind man in Maria Golovin, a cripple in Amahl, a caged lover in The Last Savage, a globolinked music school dean in Help! Help! the Globolinks, a sleeping man in The Hero, a deaf artist in Goya, a misunderstood poet in The Unicorn. Women usually fare better, although a few have a difficult time of it: the thwarted old maid (Old Maid and the Thief), the stigmata of Annina (The Saint), the imprisoned Juana (La Loca), and the unfortunate Duchess of Alba (Goya). Menotti has a great love and understanding of children; he has their audacity and frankness but he is in no way childish. He loves games, puzzles, and riddles, and, when it was in vogue, he was fascinated by the mechanics of the yo-yo. This affinity with the young is reciprocated by them in their enjoyment of the six operas he wrote for them: Amahl, The Boy who Grew too Fast, A Bride From Pluto, Chip and his Dog, Help! Help! the Globolinks, and The Egg. The success and popularity of Amahl and the Globolinks are barometers of their affection. These charming operas are really fables or parables that illustrate some moral or didactic precept — simple faith (Amahl), be true to yourself (The Boy who Grew too Fast), and the power of music (the Globolinks). It is no secret that Menotti has never been the darling of the avant-garde. But even his detractors have never accused him of being untrue to himself. And there is a Menotti style; at his best, he sounds like nobody else. Approve of him or not, he has single-handedly changed the American attitude toward opera, as Benjamin Britten did in England. Amahl, The Saint, The Medium, The Consul, and the Globolinks are performed all over the world, although lovers of the arcane resent his accessibility. Though many of his operas for smaller houses and smaller ensembles are easily performed, this does not make them any less important. He has fathered a whole generation of such works. Who else has made opera so available to such a wide audience? He has often admitted that he is a musical conservative. But what does that mean in today's pluralistic climate? His generic forebears, like other current composers, are easy to fathom — Mussorgsky, Debussy, Stravinsky, Puccini, and the bubbly Rossini — but his use of them is his own. He has the knack of finding exactly the right kind of music to heighten a given dramatic situation; the vocal lines carry the burden of the drama. There is a Menotti sound that is recognizable throughout most of his works, from the chattering Amelia and the eerie Medium to the passionate Goya. The powerful, dissonant Consul and the neurotic, Italianate Saint are masterly achievements, as are the elegant madrigals and interludes of The Unicorn. The child-world music of his young operas could have been written by no one else. His non-operatic works also have the Menotti stamp, such as the dry champagne Piano Concerto and the under-appreciated Violin Concerto written for Efram Zimbalist. The classical sophistication of the tonal works like the Triplo Concerto a Tre (1970) and the mystical music of Muero porque no muero (1982) is pure Menotti. He approaches each work as a puzzle to be solved and favors architectural, ritualistic patterns — the march, fanfares, the waltz, classical structures, the polyphony of the church. He would find no difficulty in composing music for a contemporary Esterházy. He achieves his musical effects by simple means, even when he uses a full orchestra in operas such as The Consul, The Saint and Goya, or symphonic works such as Apocalypse (1951). He is a stickler for balance and color, rarely overorchestrating and overwhelming us with empty sound. It is apparent that the voice is the linchpin of Menotti's style. His operatic characters express themselves through vocal lines that are intrinsic to the dramatic situation and not merely decorative. In the non-operatic works he treats instruments as if they were the human voice. He knows (like Britten) what a child can sing and understand. The success of his operas for young people is not only due to his fairy-tale librettos. There are musical reasons as well. Menotti's associates know that he is a superb actor; role playing is one of his specialties. He likes to play (not sing) bit parts in his operas. He has appeared without billing as an ice-cream vendor, selling naughty French postcards in The Hero, and as a dignified Roman senator in his production of Barber's Antony and Cleopatra. His other compositions also contain in-jokes that delight his friends. His naming of many of them in The Telephone and his mocking, self-deprecatory portrait in the choral piece Moans, Groans, Cries, Sighs (1981) are obvious. There also are clues to Menotti's personal life, particularly in the autobiographical Landscapes and Remembrances (1976). This is a valentine to his years in the United States from his "Arrival in New York by Sea" to "The Sky of Departure." Particularly touching is "Picnic by the Brandywine," a loving memoir of the Barber family. Menotti has an irrepressible sense of fun, ranging from obvious slapstick to delicately phrased irreverence. This is demonstrated in The Telephone where the frustrated lover has to wrestle with a chattering phonophile and is forced to contact her by an outside phone. The Victorian lady of The Old Maid and the Thief is a tongue-in-cheek variation of the classic old maid who every night looks under her bed to be sure (alas) no one is there. The Hero is a gentle, polite satire of the nice American who is the witless victim of political fraud. The Last Savage pokes fun at every civilized foible, from publicity hounds to 12-tone music. Why did Menotti at the height of his career in 1958 decide to establish a music festival? Because he is a gregarious man who needs to be in the thick of things? An unfulfilled need for love? A compulsion to preach and teach, especially to the young? Is there a strain in him (though with vast differences) like that other master showman, Leonard Bernstein? Is Spoleto his Tanglewood? And why two festivals? Can we take Menotti's reason — "An international festival can have a deep meaning and give art the dignity of social and political message" — at face value? Was he stung by Barber's remark that "art is the after-dinner mint of the rich"? Isn't this what the festivals have become, whatever Menotti's initial democratic impulse? Regardless, the Spoleto festivals are historic landmarks of our musical life. They are flourishing, and so is Menotti. The festivals show that whatever Menotti does is done with consummate style. They show the Renaissance man in action. His interest in all the arts of every culture, East or West, combined with his ability to mold them into one world of Art, makes the atmosphere of Spoleto and Charleston seem a never-ending carnival. The artists he has summoned and who have responded to his commands have made the two festivals a living commedia dell'arte of the creative world. The participants include all the "greats" of the 20th century — from Auden to Zeffirelli. He has truly earned the right to be called the Duke of Spoleto. Just to list his many functions as headmaster of Spoleto — administrator, rescuer from eternal bankruptcy, talent scout, father confessor of bruised egos, savior of major/minor disasters, politician — causes a migraine. Of course, he enjoys being the commander of this maelstrom of seething talent, no matter how much he may complain. To foster a Judith Blegen, Patrice Chereau, Frank Corsaro, Christopher Keene, Gloria Lane, Shirley Verrett, Charles Wadsworth and others must be very gratifying. On the negative side, it cannot be denied that the festivals have eaten into his reservoir of energy. He says so himself. How many other works could he have written had he been consumed only by the drive of his creativity? Only he knows. He certainly would have lowered the blood pressure of many directors and impresarios who screamed until curtain time for the last pages of a work they had commissioned a few years before. Menotti's genius as a stage director was evident from the beginning with The Medium (1946), at his own request his first directorial assignment. Surely no one who has ever seen the terrifying performance of Marie Powers as Madame Flora (available on video-cassette) will ever forget it. Or the Juana of Beverly Sills, the Magda of Patricia Neway, the Vanessa of Eleanor Steber. His staging of many operas at Spoleto — Parsifal, Pelléas et Mélisande, Boris Godunov — and La Cenerentola at the Vienna State Opera and Manon Lescaut at the Metropolitan Opera has made him universally recognized. To watch Menotti direct an opera is fascinating. He seems possessed by a multiple personality and can jump in a flash from one character to another. One minute he is Madame Flora, completely aware she is a fake; the next he is the alcohol-besotted wreck, frightened and helpless. Next he is the young Monica playing the role of Toby declaring his love for her. This is quickly followed by the defiant woman defending her mute lover. The placement of a chair, the color of a rug, the adjustable lamp that keeps the room in occult darkness must be just right. The pathetic dupes have to enter the seance room with shuffling, lugubrious movements; Monica's "Mother, Mother, are you there?" must be pronounced with a properly nuanced etherealness. Toby must fall at a precise angle when he crumbles, pulling the curtain of his cubicle with him. All this Menotti shows in minute detail: one moment he is crouching on the floor, the next he is telling the pianist how to phrase the music and the singers how to stress the emotions of the vocal line. He choreographs every physical movement, every fluctuating emotion, and every single note so that his total vision can come to life. This involvement in every segment of opera is only operative by a man with a knowledge of total theater. Menotti does not consider himself even a minor playwright. He knows his works need music to be fully articulated. Yet his two plays have a place in an evaluation of his total achievement. They are the efforts of a very intelligent man with an avid interest in every nook and cranny of the theater. A Copy of Madame Aupic, a drawing room comedy in the style of Noël Coward, about the complexities of love and art, was first performed in 1947. The Leper, premiered in 1970, is a serious study about the need for a minority to find the way to live within the limitations of the majority. Both plays remain unpublished. Menotti has written librettos for only two other composers, one for Lukas Foss, a miniature opera Introductions and Goodbyes, and two for Samuel Barber. Barber's Hand of Bridge is replete with private jokes and catty dialogue. His libretto for Barber's Vanessa is one of the best he ever wrote. Designed specifically for Barber, it contains many references to him and his personality — his interest in fine food and wine, his patrician background, his love of winter and ice skating, and his affinity for the world of Isak Dinesen. Brooding over all is the passing of time and the sadness of aging. But Vanessa, unlike her counterpart, the Marschallin of Der Rosenkavalier — an opera Barber admired — does not renounce her young lover. The ending of the opera has the atmosphere of Chekhov's The Cherry Orchard, Barber's favorite play. At eighty, Menotti shows no signs of slowing down. There are no rocking chairs at Yester House. In his exquisitely appointed drawing room, a convivial host entertains and is entertained by a brigade of never-ending guests. When he is finally alone he swears for the hundredth time to collate his manuscripts and finally allow his publishers to print definitive editions of his many scores. He dreams of building a theater on the grounds of his estate. Here he will produce his operas and teach theater as he knows and reveres it. He is still bothered by his perennial preoccupation with the problems of religion, love, and art. And as he philosophizes, his phantasmagoric mind toys with the idea of an opera about the legendary Pythagoras: scientist, musician, philosopher, and mystic. It is a challenging subject. Menotti, like Orpheus, cannot stop singing. And we don't want you to, Gian Carlo, we don't want you to. © 1991 G. Schirmer, Inc.
* For instance, Menotti's luxuriant imagination and extravagant artistic flair have much in common with the arch-romantic poet Jean Cocteau. But there are also striking differences. Like Menotti, Cocteau came from a privileged family, and from an early age also had a precocious interest in the mechanics of the theater, the nuances of language, and the exploration of the emotions. Menotti, though, has no trace of the high theatrics of Cocteau; he is very low-keyed in his manner compared to the chi-chi, flamboyant Frenchman. It is just this lack of affectation that is one of Menotti's most endearing qualities. But Menotti and Cocteau are paradoxical in the same way. Although very much of our time, they have an aura about them of another age. Cocteau would be at home in the court of Louis XIV, and Menotti would be perfectly at ease in the court in Mantua. Menotti, too, has a jaunty humorous quality and an ample openness that the artificial Cocteau seems to lack. While Cocteau is deeply embedded in surrealism, Menotti is not, although his Labyrinth does owe something to Cocteau's films "Beauty and the Beast" and "The Blood of the Poet." The major difference of the Cocteau-Menotti kinship is that an equal part of Menotti's genius lies in his music and stagecraft, while Cocteau's genius, besides his literary ability, lies in his drawings and stagecraft.